Ultimate Ears have refreshed their core product lineup, announcing the new Boom 3 and Megaboom 3 Bluetooth speakers at this year's IFA. “With BOOM 3 and MEGABOOM 3, we took the ultimate speaker and made it even better,” said Charlotte Johs, general manager of Ultimate Ears. The biggest new headline addition here is the new "Magic Button" control scheme. When set up using the Ultimate Ears app, you can turn the Bluetooth speaker on and start playing from a saved playlist in a single tap. Unfortunately, at least for now, the best parts of this new feature will only be available to Apple Music and Deezer Premium subscribers. Ultimate Ears say that compatibility between this new feature and additional music services will be added later down the line. 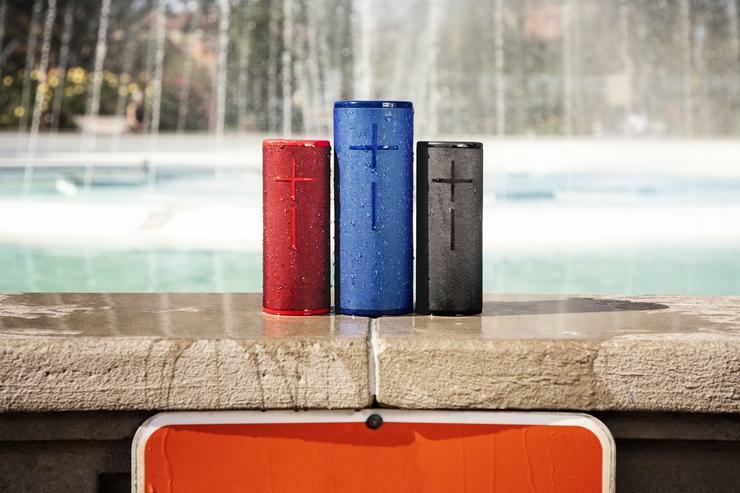 To go with the new feature, Ultimate Ears have also reworked their connected app experience to be more streamlined and wrapped the new Boom and Megaboom in a two-toned, high performance fabric. Unlike the Blast and Megablast speakers released earlier this year, the Boom 3 and Megaboom 3 don't feature any sort of Alexa or Google Assistant powered smarts. Beyond the Magic Button, there are also a handful of more under-the-hood improvements. Both the Boom and Megaboom now boast IP67 dust and water resistance ratings and an expanded Bluetooth range of up to 150 feet. In terms of battery life, the Boom weighs in with 15 hours of playback per charge while the Megaboom offers twenty. Both speakers also now offer wireless charging via Ultimate Ears' Power Up charging dock, which is sold separately. The Ultimate Ears Boom and Megaboom Bluetooth speakers will be available in four colors (black, red, blue and purple) from September. The Ultimate Ears Boom is priced at an RRP of $199.95 while the Ultimate Ears Megaboom has an RRP of $299.95.